The last promising day for Pops and I was in Colorado with strong southeasterly winds aiding a post-frontal upslope initiation scheme. The Denver Convergence Zone never really got cranking given the southeast trajectories, but a storm was able to fire southwest of Denver and moved over the airport with significant hail present (causing some damage to Frontier aircrafts I believe). As the storm pushed east into manageable chasing territory, we navigated northeast of the hook echo in what was becoming a large HP supercell. 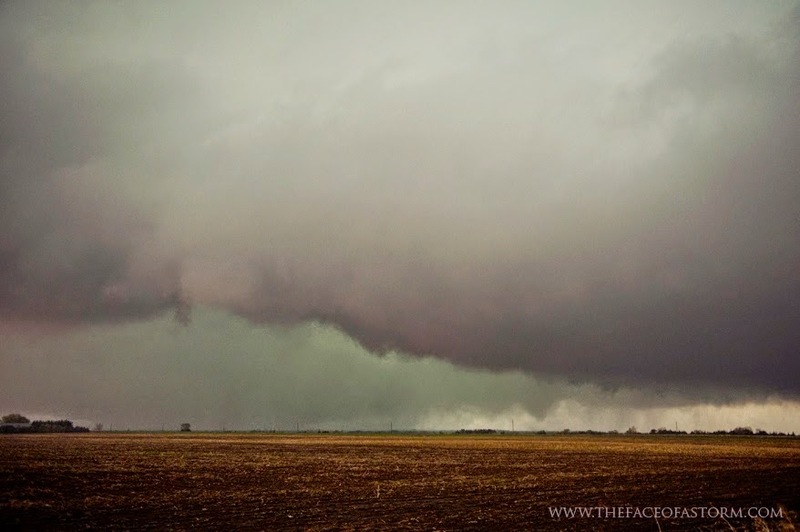 We caught a glimpse of the reported rapid rotation and funnel clouds, but the storm was not able to constrict the low-level circulation into a sustained tornado. 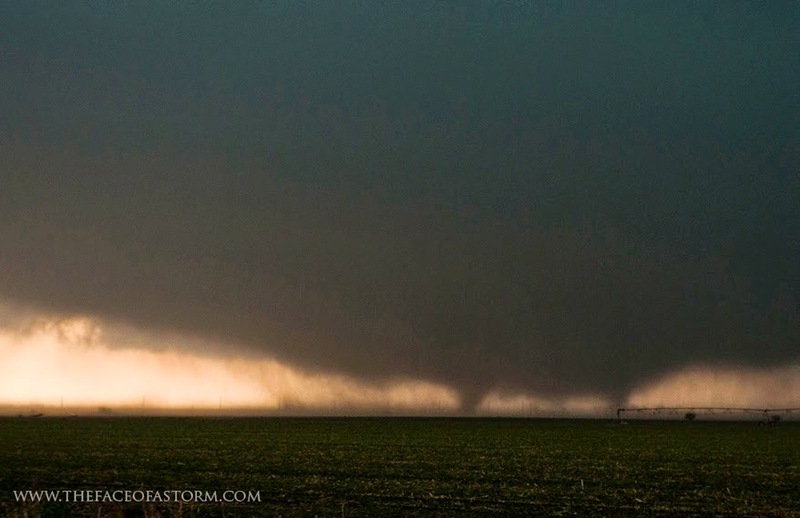 You will see from the timelapse just how close this was to being a large, wedge shaped tornado. I think if the surface temperatures were slightly higher, we would have been dealing with a significant event (I was chilly most of the day with a small jacket on!). We released from tornado chase mode as the circulation became rain-wrapped and positioned far east to enjoy the structure that only lasted for an hour or so, but created some nice photo ops and put a cherry on top to a very successful few days in the High Plains. PS, Pops is becoming really good at storm feature identification! Tuesday completed a 'hat trick' of days with severe thunderstorms. 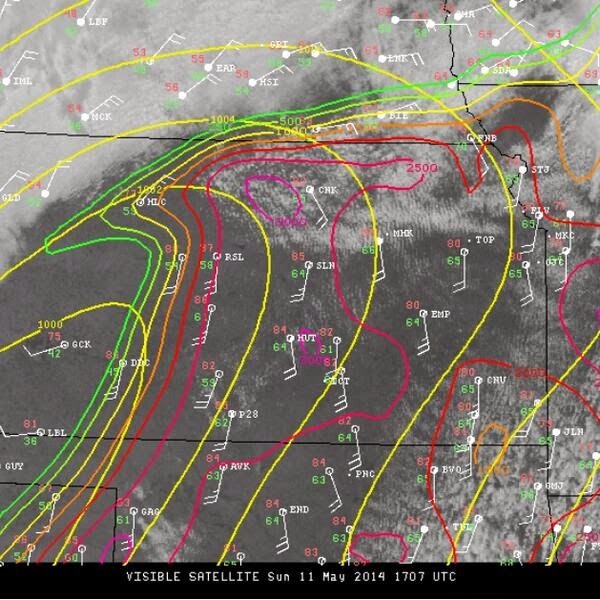 Yet again, a modest upslope regime contributed to beautiful convection across southeast WY and western NE. We latched onto the convection southwest of Chugwater and documented it all the way to Scottsbluff, NE. Another timelapse can be found at the very end. Monday exhibited another modest moisture upslope regime across the NE panhandle and western WY. Trajectories turned easterly a little late, but organized convection was able to form near Kimbal, NE and slowly drifted toward Julesburg, CO toward sunset. It was an interesting storm from a forecasting perspective. SPC dropped the slight risk during the 1630 UTC update, only to solidly verify the initial morning outlook from Greg Carbin et al. Kudos, Greg et al.! This (the most southern of) storm provided magnificent photo ops and great scenery as the day drew to a close. I will take days like these over Oklahoma high-risk tornado setups 99 out of 100 times. Pops and I also had a chance to resurrect the popular 2013 supercell photo from Nebraska. Overnighting in Julesburg, CO and looking forward to the next couple days. Sunday featured meager moisture across the high plains in a modest upslope regime. We awoke in Rapid City, SD and trekked through the Black Hills National Forest before setting our sights on Lusk, WY as an initial target. The ferry to Lusk was scenic and provided relaxing landscapes before hanging out most of the afternoon in a Family Dollar parking lot. We were eyeing a developing storm to our southeast near Torrington, WY, and went after it (with some admitted hesitation). Visually the storm looked great, but the RADAR signature said otherwise, especially after initial development. 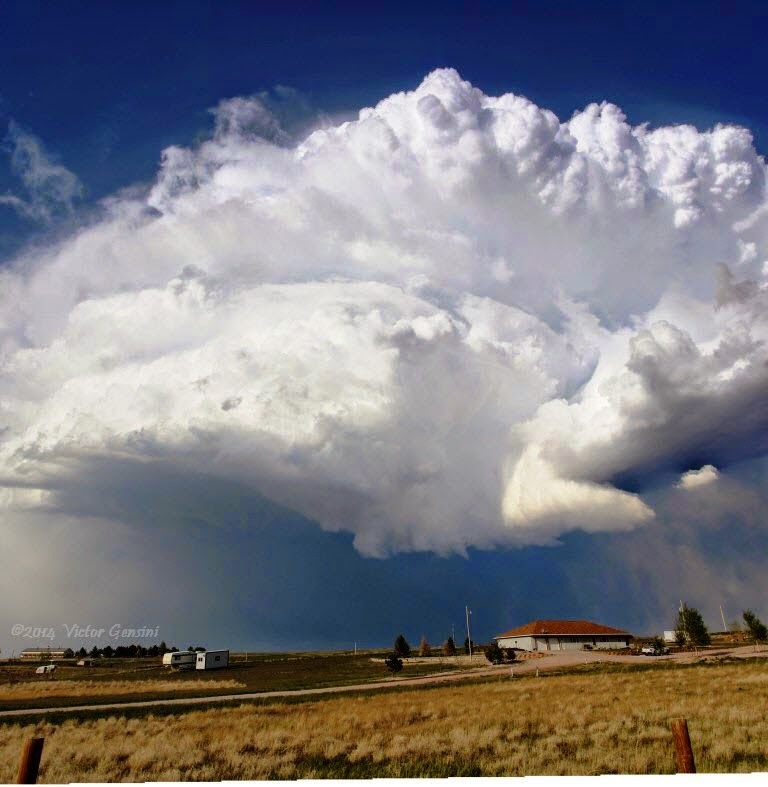 Anyway, we stuck with this storm as it morphed into a beautiful high plains LP supercell. It produced a brief tornado near James, NE (just northeast of Scottsbluff), but mainly just provided an amazing view for the afternoon / evening.